LifeShield focuses on home security with 24/7 professional monitoring provided by five monitoring stations run by Protection 1. Its system is wireless, customizable, and easy to relocate, and you can opt for a monthly subscription with no lock-in contracts. But its medical monitoring features are limited, while the company’s customer service reputation is less than stellar. LifeShield manufactures its own equipment and offers a basic set for free lease when you sign up. If it should fail, the company replaces it at no charge. But if you choose to buy the equipment, the company only provides a 12-month limited warranty that doesn’t cover promotional items and normal wear and tear. LifeShield's baseline equipment package includes a control panel, fire, and CO detectors, a keypad, a keychain remote, a wireless security tablet, one motion detector, and door/window sensors. Its Life Safety features include a panic button on your control panel, another one on your keychain remote, and 24/7 professional monitoring for medical alerts in its Advantage plan. LifeShield’s control panel has a panic button that, when pressed, sends a signal to the monitoring station. An agent then tries to contact you via the two-way voice communication feature embedded in your control panel. If you can’t be reached, or if the agent confirms you need help, the monitoring station dispatches medical services to your home. A significant disadvantage of this setup is that families with children prefer to disable this feature to avoid false alarms. Also, you need to interact with your control panel directly to trigger the medical alert, which out-rules several scenarios when you simply can’t get to the panel. There is no medical pendant or wristband on offer, but their keychain remote can be used as a medical panic button on top of its remote arm/disarm commands. It only has two buttons – Stay/Away and Cancel/Off. When you press and hold both buttons for two seconds, the keychain sends a distress signal to your control panel. You also need to be somewhere around your control panel – not further than 30-50 feet away – to trigger the medical alarm. Notably, the panic button needs to be configured separately – it doesn’t come enabled by default. Other than that, it’s minimalist and easy to use, and ships ready to work with your system. You can assign it to a specific user to track who comes and goes, and who triggers a medical alert. The system supports up to 8 users. LifeShield has two plans, both available in 30- or 60-month contracts with hefty cancellation fees and a month-to-month subscription you can cancel any time. But make sure you read the fine print in your agreement. To qualify for the monthly subscription, you must undergo a credit check. Security Essentials kicks in at $20.99/mo and comes with a $200-worth starter kit containing the control base, a keypad, a keychain remote, two wireless entry sensors, and one motion detector. It also bundles a fire safety sensor and a security tablet for self-monitoring. It’s not apt for medical alerts since it does not provide professional monitoring. Security Advantage is priced at $24.99/mo and comes with the equipment kit worth $299.99. The kit consists of 11 items, and bundles 24/7 professional monitoring, video monitoring, one indoor camera, and 30 days video storage for your security camera feed. It also offers a mobile app to control your system remotely. LifeShield provides 24/7 professional monitoring via five Protection 1 monitoring stations, which have a triple redundant system consisting of primary, backup, and disaster recovery centers. When an alarm is triggered, operators can reach you through your two-way voice communication control panel to confirm the emergency and dispatch police or medical responders. If your home security system is equipped with video cameras, your operator can also access your video feed in the event of an emergency. LifeShield customer and tech support are available 8 am – 9 pm during weekdays and 9 am – 6 pm during weekends. No live chat option is on offer, alas. It’s worth noting the company has generated quite a few negative reviews as of late, mostly due to declining support quality and issues setting up the equipment. 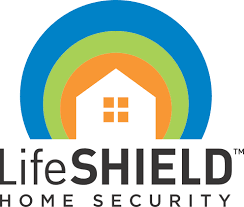 LifeShield offers a DIY installation. There is no direct line for tech support, so if you need assistance, you have to go through automated machines to request technical assistance. On the bright side, your equipment ships preconfigured, complete with peel-and-stick adhesives and a mobile app with basic instructions. And if you choose to have a professional technician install your system, you can order the service for $99.99. Professional installation is priced at $100, which is higher than average. You have 30 days to cancel your service without incurring early cancellation fees. Long-term contracts come with a 100% early termination fee. Your long-term contract auto-renews, unless you specify otherwise well in advance. Home automation is not implemented as LifeShield equipment is not compatible with third-party devices or other security systems. As a new customer, you have to undergo a hard credit check. The control panel has a 24-hour battery backup but should be plugged into a power outlet. The base provides crash-and-smash protection – if a burglar breaks it, it immediately alerts you and local authorities. If 24/7 professional medical alert monitoring and medical panic button devices are top priority when you choose your home security system, LifeShield might not be the best option. It’s reasonably flexible but lacks equipment for proper medical alert monitoring, such as medical pendants, wristbands, or long-range GPS trackers available with some of their competitors.